The Insurance Institute for Highway Safety is developing a ratings program for adaptive cruise control, lane-keeping systems, and other advanced driver assistance systems. The Insurance Institute for Highway Safety (IIHS) is in the process of developing a ratings program for adaptive cruise control, lane-keeping systems, and other advanced driver assistance systems. The new ratings program would extend the institute's work toward developing objective tools for evaluating specific automotive technologies beyond its existing crashworthiness safety ratings that include Safety Pick, Top Safety Pick and Top Safety Pick+. While the program is still in development with no specific target date announced for its launch, it will rely on the use of on-road and track tests. "The new tests are an outgrowth of our research on Level 2 autonomy," said Jessica Jermakian, a senior research engineer with the institute. "We zeroed in on situations our staff identified as areas of concern during test drives with Level 2 systems, and then used that feedback to develop road-and-track scenarios to compare vehicles." 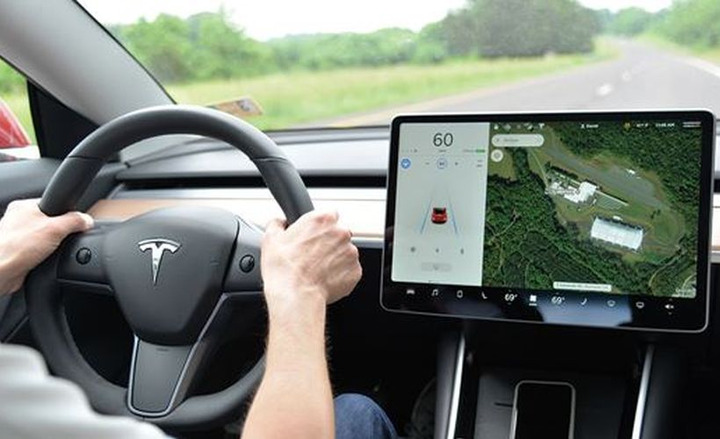 In its efforts to develop the ratings program, the institute conducted tests and evaluated the following cars: 2017 BMW 5 Series with Driving Assistant Plus, 2017 Mercedes-Benz E-Class with Drive Pilot, 2018 Tesla Model 3 and 2016 Model S with Autopilot (software versions 8.1 and 7.1 respectively) and 2018 Volvo S90 with Pilot Assist. All five have automatic emergency braking systems rated superior by IIHS. Adaptive cruise control systems were evaluated via four different series of track tests to determine how they handle stopped lead vehicles and lead vehicles exiting the lane, as well as how the systems accelerate and decelerate. The first series involved driving at 31 mph toward a stationary vehicle target with the system off and auto-brake turned on to evaluate auto-brake performance. Only the two Teslas hit the stationary target in this test. However, the same test was repeated with the technology engaged with following distance set to close, middle, and far in multiple runs. The 5 Series, E-Class, Model 3 and Model S braked earlier and gentler than with emergency braking and still avoided the target. The cars slowed with relatively gradual decelerations of 0.2-0.3 gs, braking in the same manner despite the distance setting. Braking before impact was earlier for the Teslas than for the 5 Series and E-Class. In the third test that involved following a lead vehicle that slows down to a stop and then accelerates, the systems fared well and decelerated smoothly. A fourth scenario involved the test vehicle following a lead vehicle, which then changed lanes to reveal a stationary inflatable target vehicle in the path ahead when the time to collision was about 4.3 seconds. The vehicles performed well, with none of them colliding into the target. The 5 Series, E-Class and Teslas braked earlier and more gently than the S90. The potential safety benefits of these systems are promising, according to the institute. The technology is often bundled with forward collision warning and auto-brake, and research by IIHS and HLDI has found crash-reduction benefits for these systems when they are combined. Studies also show that drivers using the technology have longer, safer following distances than drivers who don't use it. Even so, IIHS preliminary tests indicate that current systems aren't ready to handle speed control in all traffic situations. Curves and hills on open roads were the two areas of focus when evaluating active lane-keeping systems. In addition, the institute observed how the systems performed in traffic. The results varied. Only the Model 3 stayed within the lane on all 18 trials. The Model S was similar but crossed the line on the inside of the curve in one trial. None of the other systems tested provided enough steering input on their own to consistently stay in their lane, often requiring the driver to provide additional steering to successfully navigate the curve. The E-Class stayed within the lane in nine of 17 runs and strayed to the lane marker in five trials. The system disengaged itself in one trial and crossed the line in two. The 5 Series stayed within the lane in three of 16 trials and was more likely to disengage than steer outside the lane. The S90 stayed in the lane in nine of 17 runs and crossed the lane line in eight runs. Hill testing was equally rigorous. Engineers mapped out a course that included three hills with different slopes. Drivers made six trial runs on each hill in each vehicle. The E-Class and Model 3 performed best, with the E-Class staying in its lane in 15 of 18 trials and on the line in one trial. The Model 3 also stayed in the lane in all but one trial, when it hugged the line. Conversely, the 5 Series, Model S, and S90 struggled. The 5 Series continually steered toward or across the lane line. Sometimes the car disengaged steering assistance on its own. The car failed to stay in the lane on all 14 valid trials. The Model S was errant in the hill tests, staying in the lane in five of 18 trials. When cresting hills, the Model S swerved left and right until it determined the correct place in the lane, jolting test drivers. It rarely warned them to take over as it hunted for the lane center. The car regularly veered into the adjacent lanes or onto the shoulder. The S90 stayed in the lane in nine of 16 trials. The car crossed the lane line in two trials and in four trials disengaged steering assistance when it crested hills but automatically re-engaged when the system once again detected the markings. The evidence for a safety benefit of an active lane-keeping system isn't as pronounced as for adaptive cruise control, according to the institute. However, lane-keeping systems offer good potential to prevent crashes and reduce fatalities. The institute's research shows that preventing lane-departure crashes could save nearly 8,000 lives in a typical year. Lane-departure warning systems are associated with an 11% reduction in the rates of single-vehicle, sideswipe, and head-on crashes of all severities and a 21% reduction in the rates of injury crashes of the same type. The institute is planning further research before finalizing its consumer ratings program for advanced driver assistance systems.